On the heels of Marilyn Monroe’s burlesque appearance on Michigan Avenue, a citywide debate ignited over the value of our public art. Should public works send a meaningful message to the entire city and tourists alike, or should they be (merely) entertaining? Should public art challenge our taste levels—and whose taste levels, theirs or ours? That the Marilyn colossus opened up this discussion, once again, proved that our public art is an important slice of our city’s culture. And yet, many artists and art lovers felt defeated, even excluded, from the Marilyn worship. If public art is for all, why is it selected by a secret few? 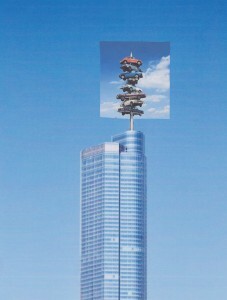 In response to this increasingly polarizing situation, I asked Chicago-based artists to create an ideal public artwork. These twenty-six responses are unpolluted by the committees, private interests and politicians that usher public sculptures to their often-neutered realization. Most of the artists featured here do not typically make traditional or monumental public artworks, so the submissions take the format of conceptual designs, sketches, and drawings posed as questions and critiques. Tellingly, most of the concepts are sited at specific intersections, atop or around iconic architecture, and in response to famed past and present public artworks. If it were up to our artists, the trend of sculptures plopped into plazas is over. We crave authentic experiences that represent who we are. We want art as creative skill, justice, wit and community-building. 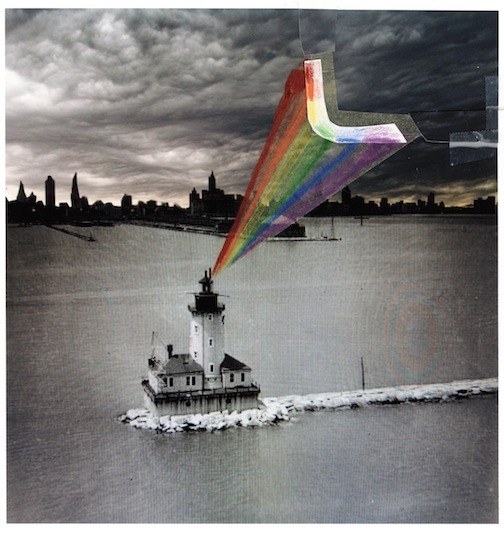 The Imaginary Monuments for Chicago artist project has a few predecessors. In 1922, the Chicago Tribune held a design competition for its new office tower, and invited architects to submit proposals. 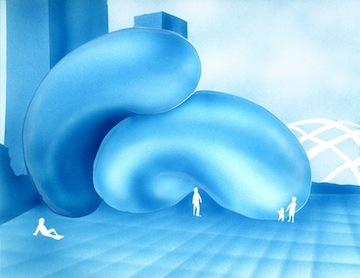 The archive of unbuilt, experimental designs often stirs more interest than the winner, a traditional skyscraper, and the proposals reflect the era’s expansive creative imagination. In 1967, Claes Oldenburg sketched some absurd but pertinent public sculpture concepts to be sited in Chicago. One was a giant windshield wiper, as large as the city itself, that could swat away our bad weather. Like Oldenburg’s sketches, many of the current proposals happily exist on paper or in our minds, some as jokes and some as critiques. But perhaps one day they will be built. Thirty-five years after Robert Smithson made a little drawing of a floating island in his sketchbook, the Whitney Museum raised funds to make it a reality.